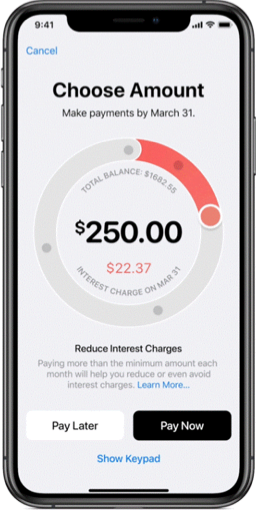 Avise Analytics | Will Apple’s revolutionary approach herald a new era for the Credit Card Industry? 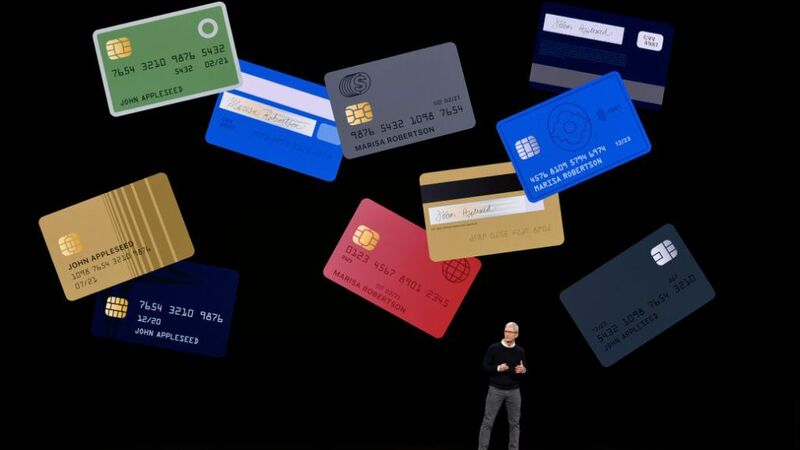 With the launch of Apple Card, will Apple be able to disrupt the credit card market like it did with the mobile phone? 04 Apr Will Apple’s revolutionary approach herald a new era for the Credit Card Industry? On April 3, 1973 Martin Cooper, an engineer working for Motorola and credited with the invention of cell phone, made the first public cellphone call. 10 years after that first call, Motorola introduced DynaTAC phone for public use in 1984, after being approved by the U.S. Federal Communications Commission. The company believed that cellphones would “absolutely not” replace standard telephones and people would continue using their car phones. Cellphone’s are now an indespensible part of our lives, from a luxury it has now become an absolute necessity. Right from morning alarm to ordering food and groceries, from helping share documents and information to navigation, from streaming videos to taking care of financial transactions, a world of information is just a touch of a button away. iPhone – The Apple of its eye! Apple disrupted the cellphone market by not only bringing in innovation previously unheard of but by also negotiating insane bargains that drove down the prices of components such as touch technology, flash memory, camera sensors and LCD screens that benefitted not just the mobile phone industry but other industries as well. The company is constantly trying to reinvent itself by offering sleeker phones, unmatched features, an improved camera and services that still make owing an iPhone a pride and a joy. An innovation a day keeps the Competitors at bay! In a year that saw Apple battling with multiple issues such as declining revenues, a strong dollar and supply constraints resulting in concerns about the company’s future, Apple saw an increase in its service revenues. In its quarterly earnings release for Q1, 2019, Apple reported quarterly revenue of $84.3 billion, a decline of 5 percent from the year-ago quarter with revenues from iPhone® declining by 15 percent from the prior year. The company squarely lays part of the blame on China’s economic deceleration. The silver lining in the cloud for it though came in the form of Apple’s revenue from its devices and paid services such as Apple Music and iCloud which was US$37.1 billion in the Q4 of 2018, derived from its active installed base of 1.3 billion iPhones, iPads and Macs, a number that the company is seeking to multiply as part of its future growth strategy. 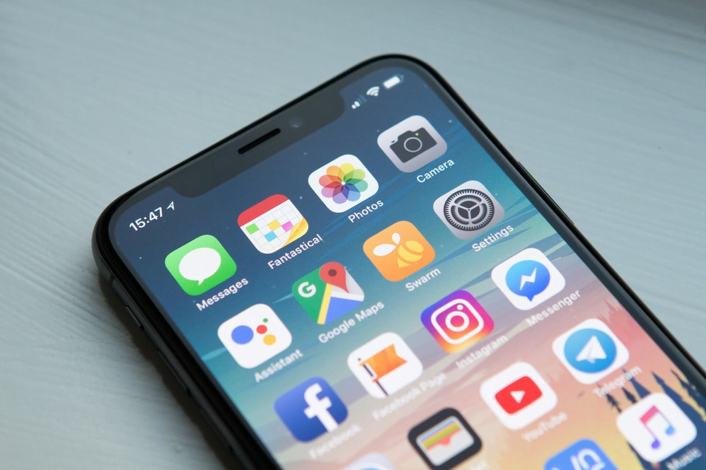 Despite the drop in revenues it is still upbeat about its long-term prospects owing to its installed base of active devices hitting an all time-high and the revenue from other sources such as services, wearables and Mac growing by 19%. Apple first entered the credit card space in 1986 by offering Apple business credit cards and Apple consumer credit cards that were pre-loaded cards with an initial worth of $2,500. 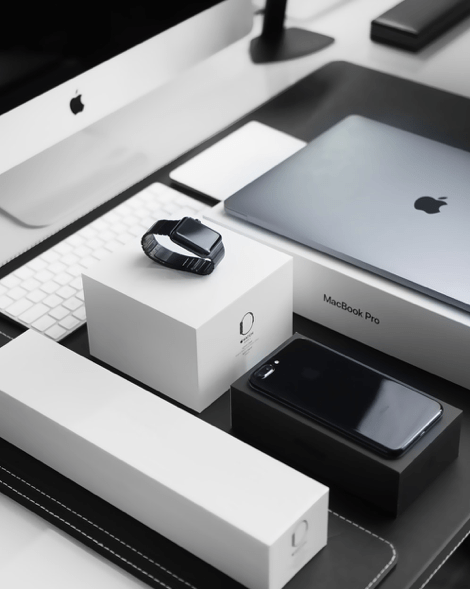 A customer could take home a new Apple Ile system the same day based on certain criteria, “Just asks your authorized Apple dealer for an application. If you qualify, you can actually take home your new Apple Ile system the same day. Apple Credit,” its advert said. The product was later discontinued by the company. 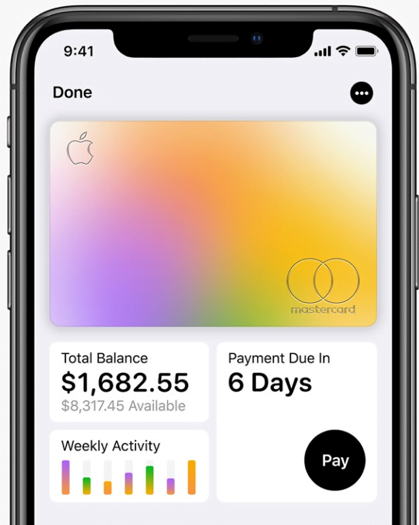 On March 25, 2019, Apple announced the launch of Apple card, in partnership with Goldman Sachs (NYSE: GS) and Mastercard (NYSE: MA) that it states to have been built on simplicity, transparency and privacy, and designed to help customers lead a healthier financial life. 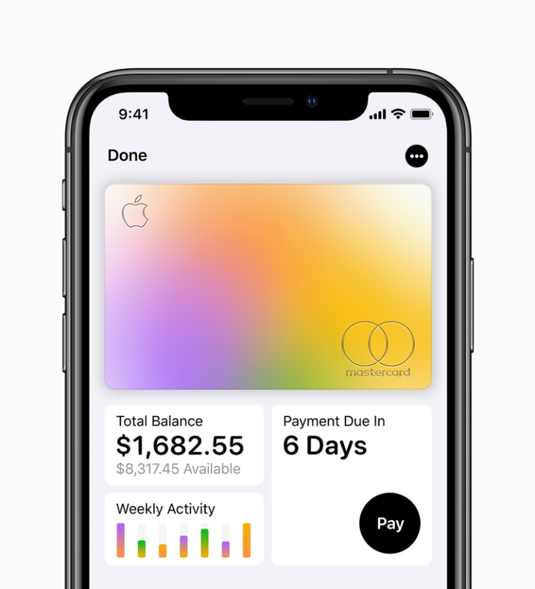 The card which is built into the Apple Wallet app on iPhones, promises to simplify the credit card experience for customers by eliminating complicated application procedures, doing away with joining and annual subscription fees, lower rates of interest, improved security and privacy along with daily cash backs ranging from 1% to 3% for using the card. The Apple Card will be initially be made available in the US starting this summer and will be later expanded to its other markets worldwide. Why choose Apple over other cards? 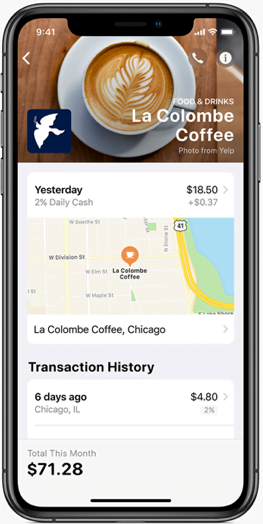 Customers can apply for a card through their wallet app on the iPhone and start using the card in minutes based on certain eligibility criteria, eliminating the need for the cumbersome and time-consuming verification process adopted by conventional credit card companies. It also offers a real-time view of the customer’s transactions and available balance along with round the clock customer support. It also offers merchant and category-wise spending information to track spending better. Apple offers a 1% to 3% cash back on transactions which will be credited to the wallet and can be redeemed against purchases made at Apple store, app stores or apple services. The money can even be used for paying off the balance, transferred to friends and family, or to one’s own bank account. The best part? There are no annual, late, international or over-the-limit fees and it also offers the flexibility to make payments as and when the customer desires. The company will also issue titanium Apple Card for establishments where Apple Pay is not accepted. What it means for the Credit card market? 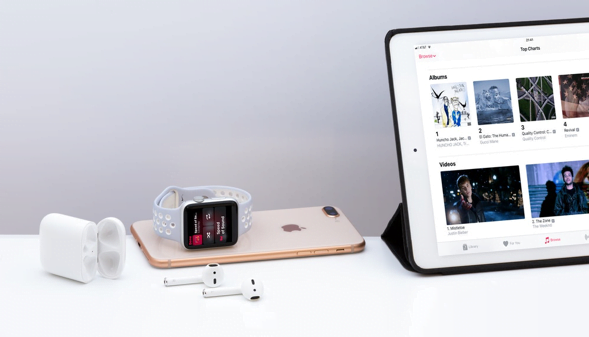 The strength of Apple’s innovations is its ability to address the pain points for any product and translate them into simple user-friendly features. The biggest criticism of credit cards is their complex and obscure working, which apple clearly seems to address with its latest offering. However, a customer typically uses multiple credit cards based on how much benefit a specific card offers on spends such as fuel, clothes, food, etc. Customer loyalty is next to zilch where credit cards are concerned. So, the question remains, will Apple be able to change that? Also, it is locking horns with some big players in the credit card business that will leave no stone unturned to maintain their dominance even if it means adapting to Apple’s user friendly card management features or its improved security offering. Only time will tell if Apple will be able to disrupt the credit card market like it did with the mobile phone one, but the future does look challenging with credit card companies now having to revisit their strategies in face of this new innovation and the biggest gainer from this is hopefully the average customer. - BXT-25 - CAN BIOXYTRAN INC'S NOVEL DRUG REVOLUTIONIZE OXYGEN DELIVERY?